President Eisenhower's 1950 Lincoln Cosmopolitan. A good article covering all of the cars used by US Presidents, from Taft to Obama. Also, a parade of Presidential Limousines. They don't build them like they use to. 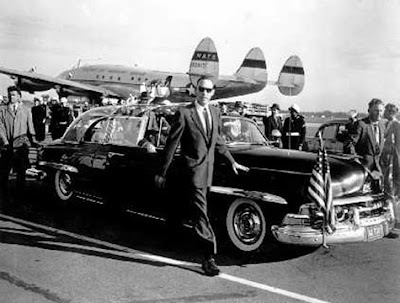 Its a good effortful article covering all of the cars used by US Presidents. Many new informations with present and past history were shared to the readers and made this blog very interesting.I liked this article.